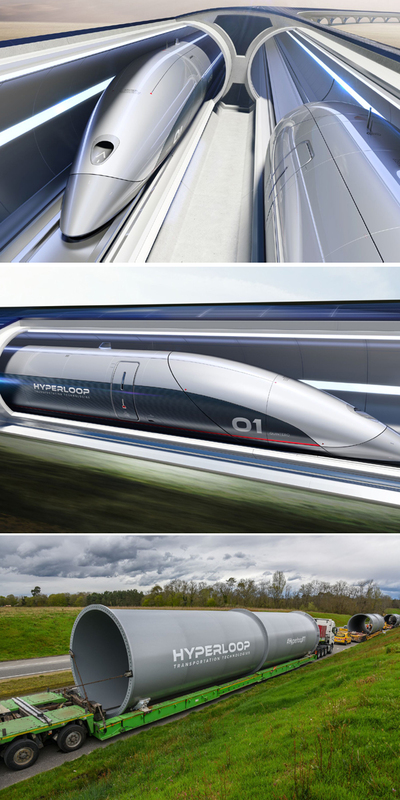 Hyperloop Transportation Technologies (HyperloopTT) has announced the arrival of the first set of tubes designed to move both people and freight to its research and development centre in Toulouse, France. An innovative transportation and technology company, HyperloopTT focused on realising the Hyperloop, a system that moves people and goods at unprecedented speeds safely, efficiently, and sustainably. With an interior diameter of 4 m, the system is optimised both for passenger capsules and shipping containers. The first phase includes a closed 320-m system that will be operational this year. In addition, a second full-scale system of 1 km elevated by pylons at a height of 5.8 m will be completed in 2019. Both systems are fully upgradeable and will be utilised by both HyperloopTT and partner companies, said a statement from the company. The full-scale passenger capsule, currently near completion at Carbures in Spain, is scheduled for delivery to the facility this summer for assembly and integration. “Five years ago we set out to solve transportation’s most pressing problems; efficiency, comfort and speed. Today we take an important step forward to begin to achieve that goal,” remarked HyperloopTT CEO Dirk Ahlborn. "Hyperloop is more than just displays of rapid acceleration and more than just breaking speed records. The real opportunity is to create an efficient and safe system with an unparalleled passenger experience," he stated. “Building in full-scale means we’re committed to innovation in the long-term,” said Bibop Gresta, HyperloopTT Chairman. "We’ve pioneered the technology, proved feasible and insurable by the world’s largest reinsurance company, Munich RE. We have agreements in place in nine countries where we’re working on feasibility and regulations," explained Gresta. "We have a research center for freight and logistics in Brazil and a facility in Toulouse where we’ll deliver the first full-scale passenger capsule. Hyperloop is no longer a concept, it has become a commercial industry," he added. Founded in 2013, HyperloopTT is a global team comprising more than 800 engineers, creatives and technologists in 52 multidisciplinary teams, with 40 corporate and university partners.